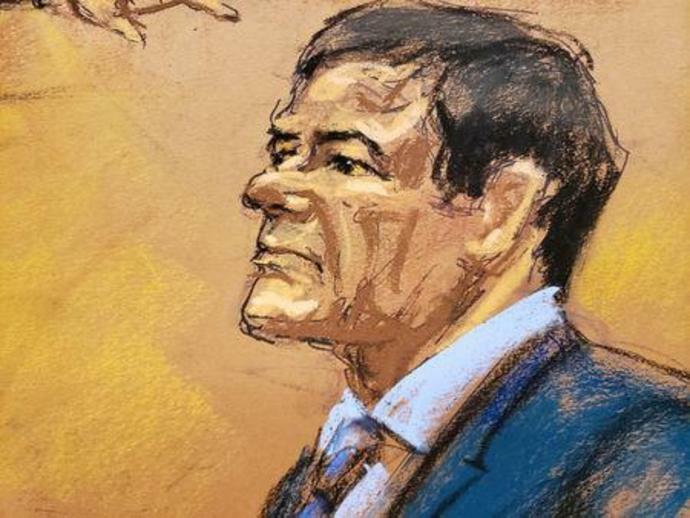 (Reuters) - Jurors began deliberations in the trial of Joaquin "El Chapo" Guzman, accused of running one of the world's most infamous drug cartels, in Brooklyn federal court on Monday morning. The defense argued that Chapo was set up as a "fall guy" by Ismael "El Mayo" Zambada, a drug kingpin from Sinaloa who remains at large. Despite his ties to government officials, Guzman often lived on the run. Imprisoned in Mexico for drug trafficking in 1993, he escaped in 2001 hidden in a laundry cart and spent the following years hiding in the mountains of Sinaloa, guarded by a private army. He was seized and imprisoned again in 2014, but pulled off his best known escape the following year when he disappeared into a tunnel dug into his cell at a maximum security prison. He was finally captured again in 2016 after a shootout in Sinaloa and extradited to the United States from Mexico in January, 2017. The jury to decide his fate is comprised of seven women and five men. Their names have not been disclosed for security reasons.